Posted by Mike Clampitt, April 01, 2019 10:23. Posted by Mike Clampitt, June 22, 2017 09:53. Posted by Oliver Beddows, October 03, 2016 10:36. BH-SRSUNTOUR-KMC Team Is Getting "Shready"
Posted by Oliver Beddows, October 03, 2016 09:03. 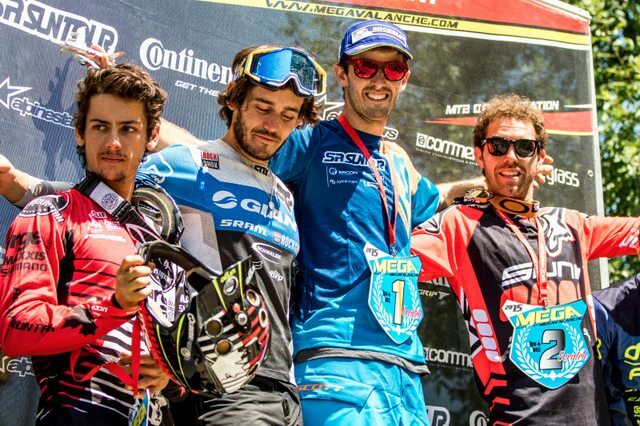 Remy Absalon Takes The Win At Megavalanche In Alpe d`Huez! Year after year, for exactly 20 years now! - an insane bike race has been held on Alpe d`Huez. More than 2000 gravity riders competing on a track more than 2500 vertical meters and more than 32km of descending starting from 3300 meter high and glaciated Pic Blanc. After last year’s mudfest, the conditions for the 2k15 Megavalanche were just perfect. After three wins in the past, a 2nd place in 2013 and a break in 2014 Remy Absalon this year returned to his 'living room’ motivated and with a clear plan. Posted by Oliver Beddows, October 03, 2016 09:00.